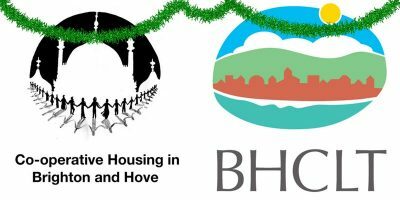 This year we will be joining forces with Brighton & Hove Community Land Trust (BHCLT) for our Christmas social. It will take place on Wednesday 12 December, from 8.00pm after the weekly group skills workshop, at the Lord Nelson pub, 36 Trafalgar Street, Brighton, BN1 4ED. Come along and celebrate all we have achieved this year! There’ll be a drink and a bite to eat for everyone, and not a post-it note in sight! Please book your place here at Eventbrite so we know how much food to provide. The pub has a small step in the entrance – they have told us they don’t usually have a problem with wheelchairs getting in. The pub is close to Brighton train station, where many buses also stop. The closest parking is Trafalgar Street Car Park.